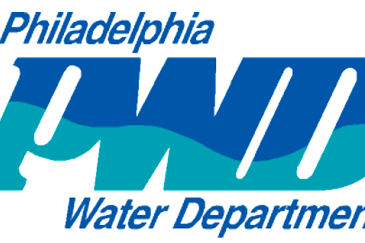 After another brutal winter, the Philadelphia Water Department revealed Wednesday it has filed a notice for rate increases that would take effect over a three-year period. The department, which is responsible for maintaining more than 6,000 miles of water mains and sewers, said the proposal is necessary to maintain critical, aging infrastructure. A proposed 10.6 percent increase over three years would raise the typical customer's bill $7 per month by September 2020. Below is a breakdown of the proposed rate change for a typical customer. The bill represents households which have a 5/8-inch water meter and use 500 cubic feet of water (3,740 gallons) per month. Philadelphia experienced 715 water main breaks from July 2016 through June 2017, a volume of water service disruptions that brought potential flooding to approximately 700 neighborhood blocks, the department said. Another 625 water main breaks occurred during a three-month period of the current winter alone. "These breaks are not just inconvenient," the department said in a statement. "In some cases, flooding and property damage has briefly displaced residents from their homes, and multiple large breaks can cost the city millions of dollars per year in customer claims related to damaged homes and cars. This increase in main breaks is due, in part, to aging infrastructure since the average age of a water main in Philadelphia is about 70 years." As a cost of service utility, the water department doesn't profit from rate increases. In addition to infrastructure needs, the request was filed to address rising operating costs and to maintain a favorable credit rating for future investments in systemwide upgrades. The rate change request must be approved by the independent Philadelphia Water, Sewer and Stormwater Rate Board. There will be six public input hearings and several technical hearings concerning the proposal. All public meeting information will be posted on the Rate Board website as the proposal moves forward.